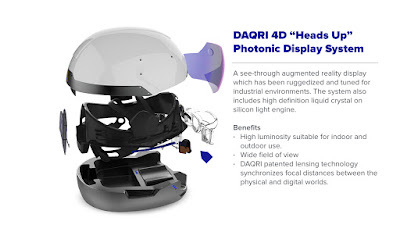 Introducing the World’s First Wearable Human Machine Interface The DAQRI SMART HELMET™ bridges the gap between potential and experience by seamlessly connecting the worker to their environment and providing contextually relevant information that connects the individual to their industry. With a heads-up display that turns a construction site into an augmented reality field, an Intellitrack system that uses 360-degree navigation cameras to analyze environments, which gives a pseudo X-ray vision on the job site. 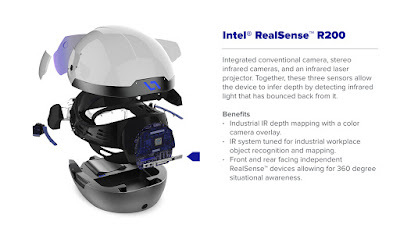 Intel’s contribution is the M7 chip and a RealSense camera. 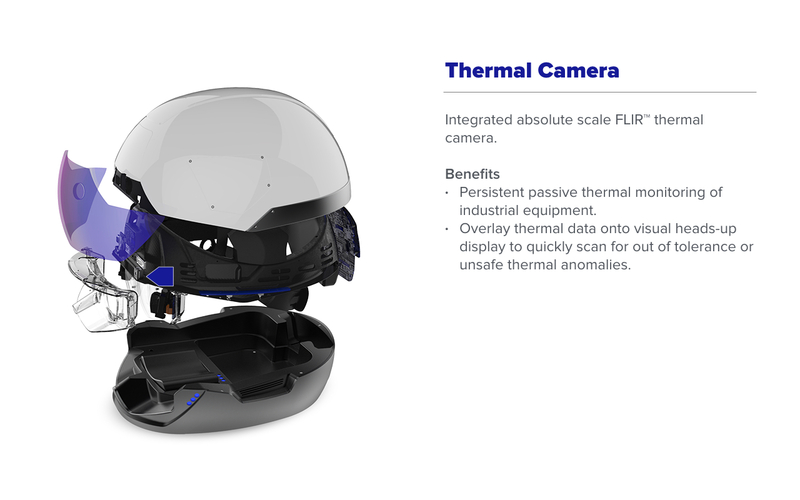 Designed specifically for construction, manufacturing and other industrial sites, the Smart Helmet uses a combination of sensors and cameras to analyze and detect objects and other context from a worker’s surroundings and displays data based on what it sees. 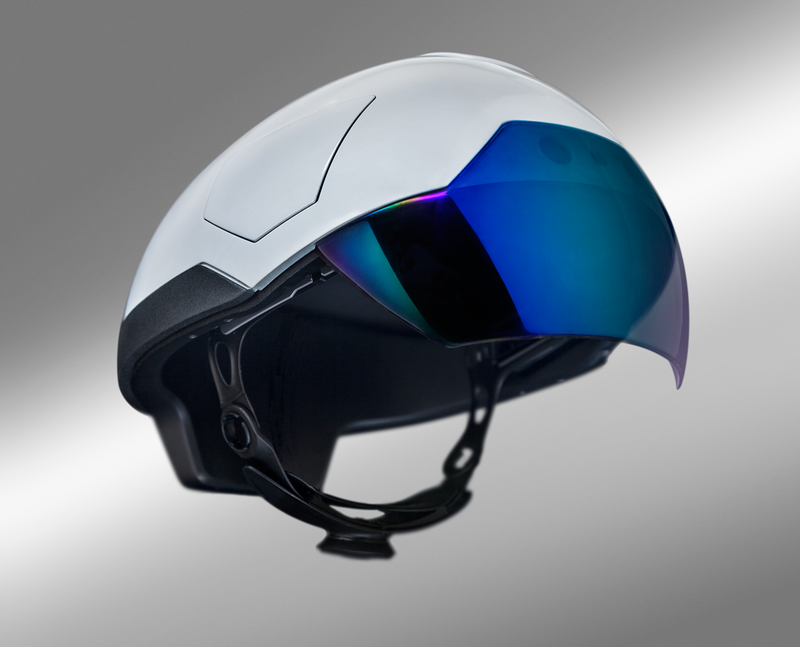 The Smart Helmet has been in the pilot phase with Fortune 100 partners across industries including aerospace, construction and oil and gas, and will be available for purchase by the end of Q1 2016.